The Illibuck is a carved wooden turtle that serves as the trophy awarded to the winner of the Illinois–Ohio State football rivalry. 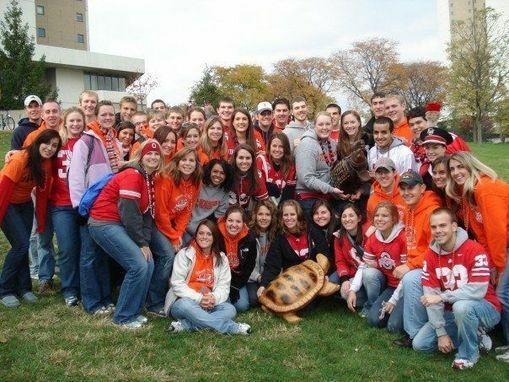 Originally the "trophy" was a live turtle when the tradition began in 1925, picked for its expected long life as a symbol of the anticipated long life of the rivalry. From 1919 to 1933, the Illinois–Ohio State game was the regular-season finale for both teams. 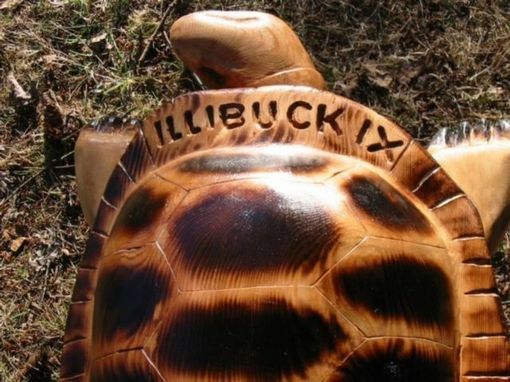 Since the original turtle's death in 1927, ten wooden replica Illibucks have been carved, each with the scores from games on its back. I made this one out of Western Red Cedar.